Have you ever felt that the blogger comment form (even the embedded inline one) doesn’t look pretty.Don’t worry you can convert the default comment form of blogger to an stylish commenting system which enables threaded comments and author images.Here i am listing some of the most popular commenting alternatives,. These are the three famous commenting systems! To give you a better demo,i am using the intense debate commenting system on this post.This is now owned by Automattic, the makers of Wordpress.This is my personal favorite and i am now confused whether i should switch to this or if i should use the default blogger commenting system. This is another Commenting system – It is the same thing that Mashable.com uses for its comments. When you try to go for any of these commenting systems,make sure that you backup your template and keep a copy,so that you can revert back if it didn’t work out well. These are the three most popular commenting systems.They come with threaded commenting with Gravatar based profile images,which can make you commenting system look more professional.I personally prefer Intense Debate over the others. 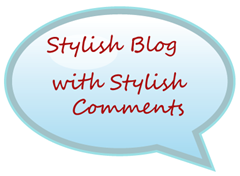 So if you want to remove the default blogger commenting system and get a better commenting interface,then you can opt for any of these commenting systems.